A new €3.4 million research project studying what gut bacteria mothers pass to their babies and how this happens has been launched. The MicrobeMom study will also look at the impact of the mother's diet and health on her gut bacteria and the impact specific probiotic supplements can have on it. The research is being led by the UCC and Teagasc based APC Microbiome Ireland centre and also involves UCD's Perinatal Research Centre, Science Foundation Ireland, the National Institute of Biotechnology Research and Training and Irish company Alimentary Health Group. While the healthy development of a newborn baby is dependent on many different factors, both physiological and environmental, scientists and clinicians are increasingly focusing on the role played by the microbiota or gut bacteria passed from mother to child. This is initially transferred during the birthing process, but the useful bugs are later added to by a baby's environment. Microbe Mom will focus on the transfer of specific strains of bacteria from mother to baby, and in particular, bifidobacteria. This is because they are thought to play a key role in running our metabolism and immune system, even impacting on the risk of a child developing allergies or asthma. "Bifidobacteria have received significant attention due to their proven contribution to human gut health and the use of specific strains as probiotics," said Dr Paul Cotter, Head of Department Food Biosciences in Teagasc and Principal Investigator at APC Microbiome Ireland. 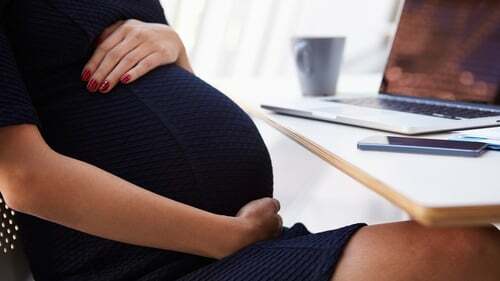 A quarter of women of reproductive age here have increased weight and abnormal sugar control impacts 5-15% of pregnancies, increasing the risk of large for dates babies when sugar levels are too high. Microbe Mom will examine the optimum level of different types of probiotics, as they have been shown to improve sugar control in men and women with type 2 diabetes. The research will also look at how best the bacteria can be passed to baby, and whether they should be given directly to the infant or transferred via the mother during pregnancy. The project was launched by Minister for Agriculture, Food and the Marine, Michael Creed, who said optimising diet and the nature of food and supplements for pregnant women and babies is crucial to ensuring their health and wellbeing throughout their lives.